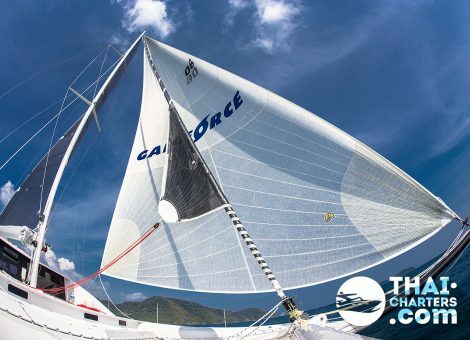 The sailing catamaran “Galeforce” was created under the supervision of Austrian engineer Alan Karvardina in 2013. 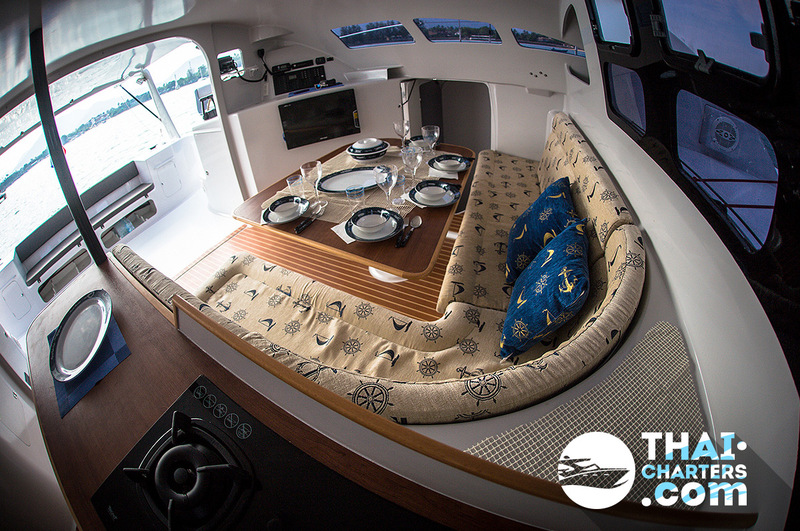 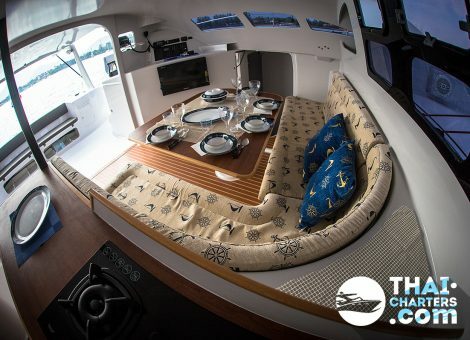 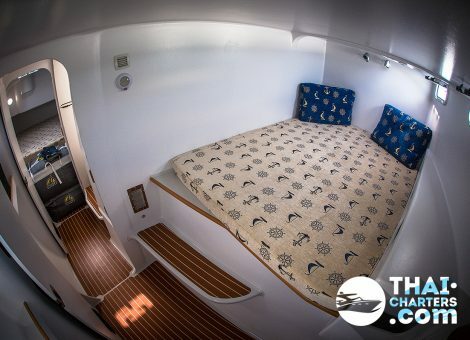 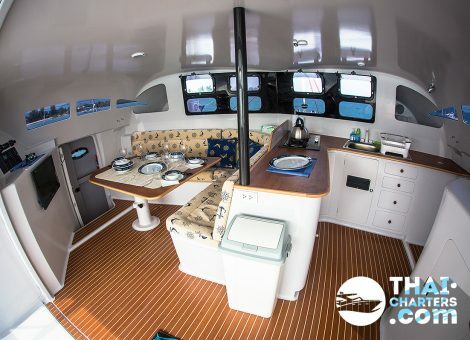 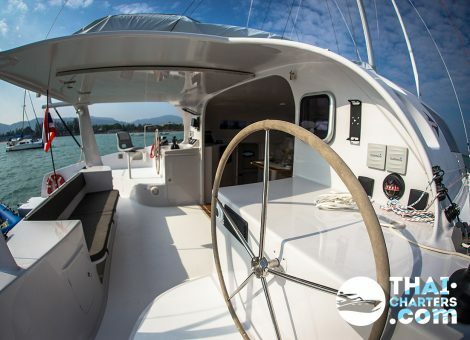 A cruise-sportive vessel,13 m long and 6.7 m wide, is ready to provide comfortable accommodations on board for up to 12 people out for excursions round the Phuket isles. 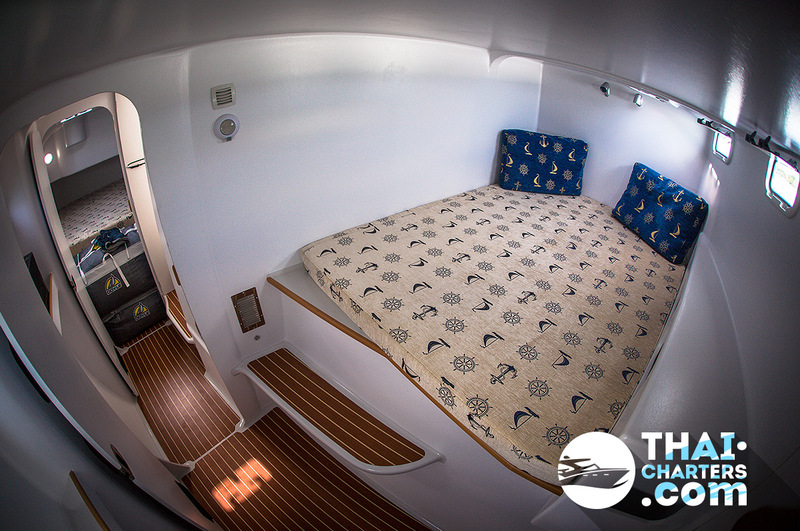 Galeforce is equipped with four double cabins with air conditioners, two toilets and a shower. 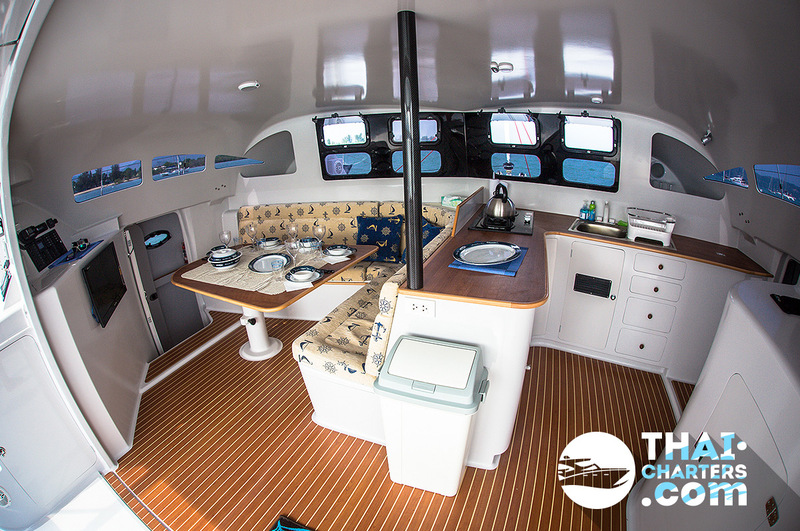 The kitchen has all the necessary utensils for cooking meals: a gas stove, a large fridge, a deep-freeze chamber, nice plates and dishes. 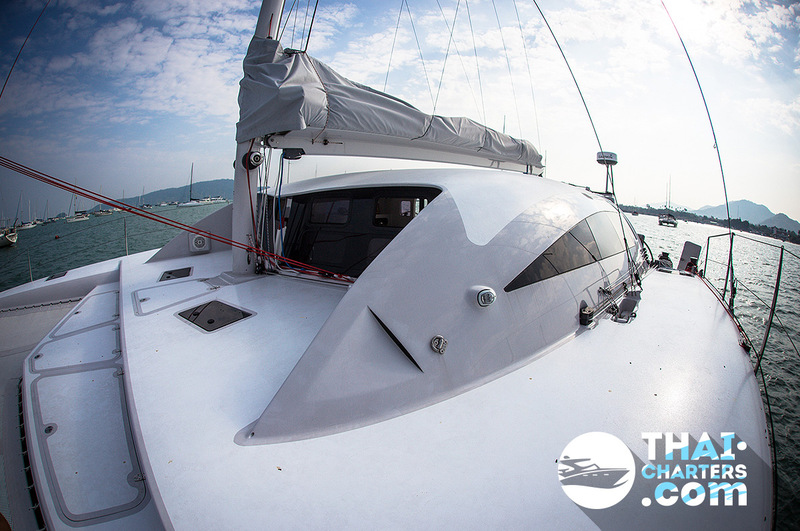 You can relax during the marine excursion to Phuket in a comfortable hall with a TV. The catamaran is also equipped with a power generator and an air compressor for diving. 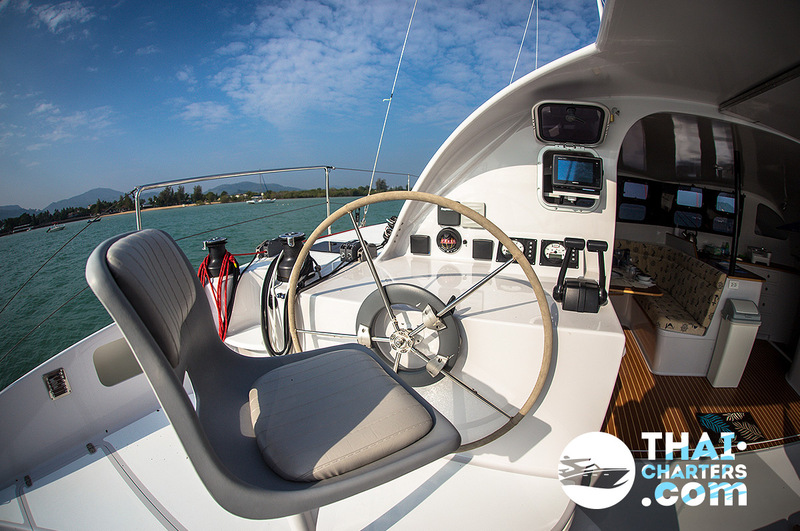 If you wish, you can take a swim in the sea, enjoy the beauty of the underwater world, get a lot of positive emotions and impressions. 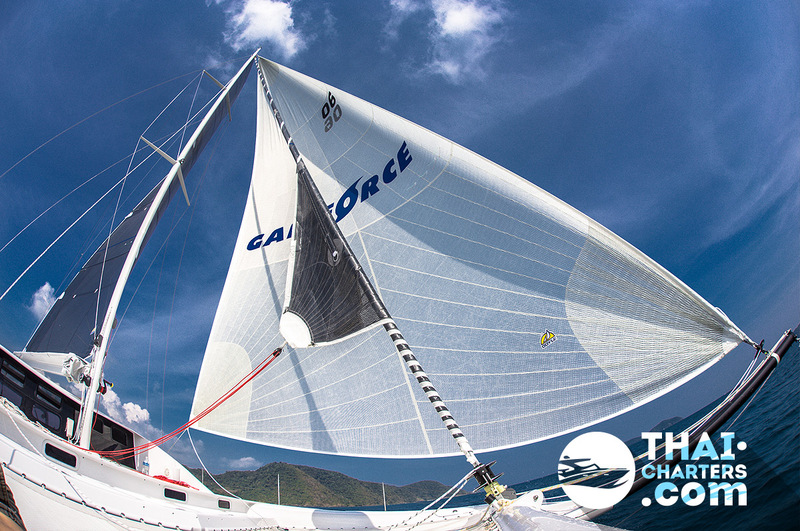 Galeforce can be used not as an individual excursion vessel only. 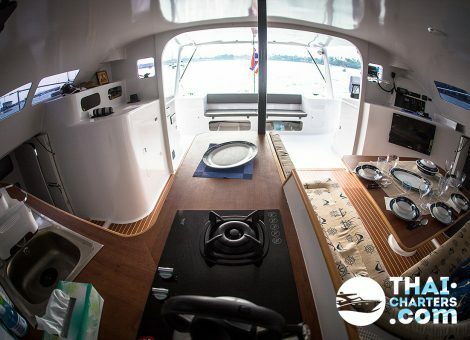 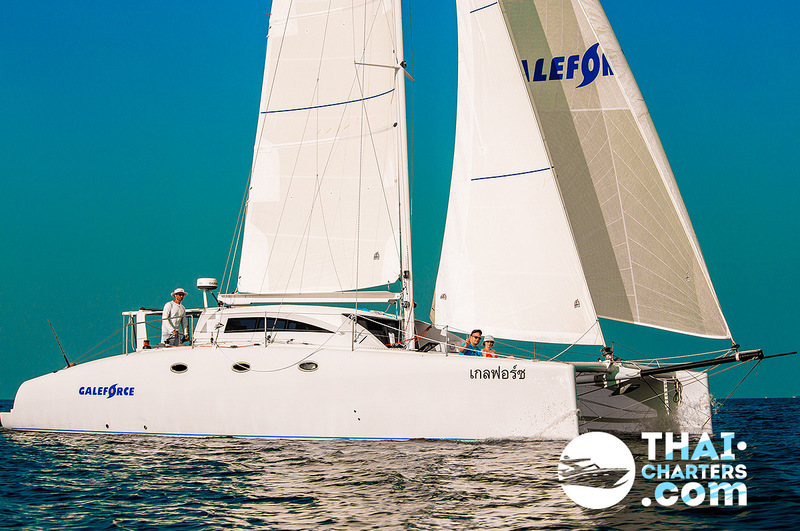 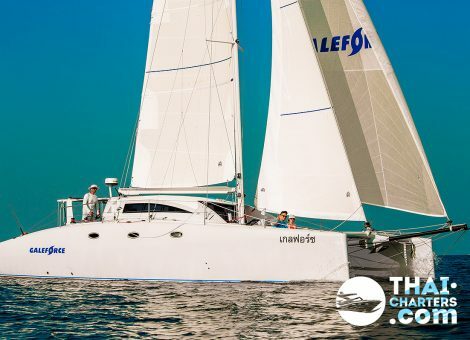 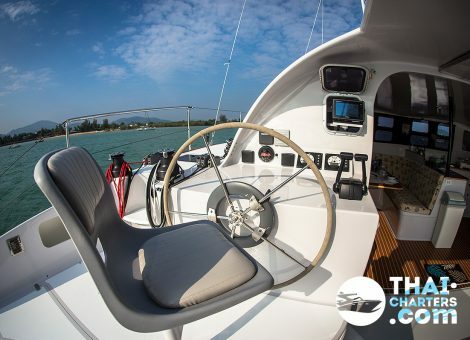 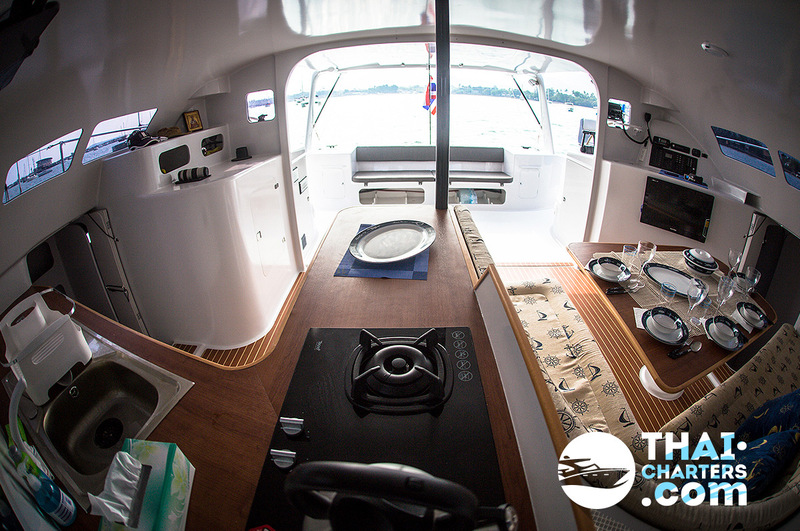 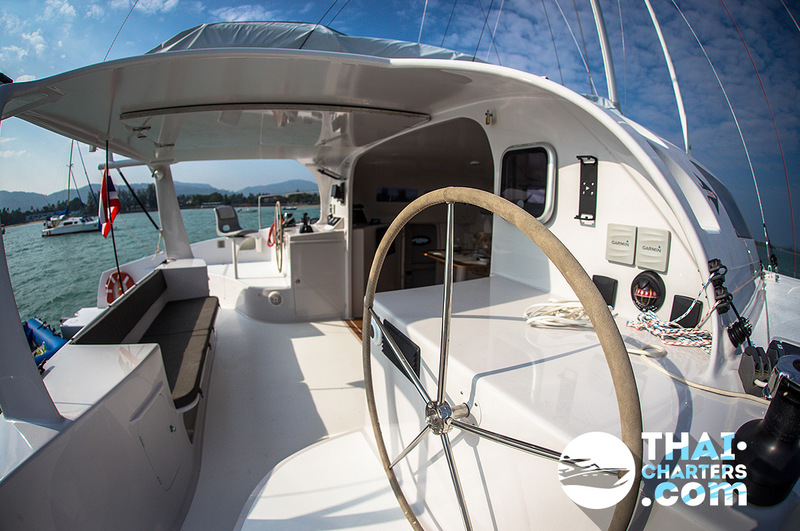 Due to its thorough design and the high-quality, modern accessories, the catamaran can be rented at Phuket for taking part in sailing regattas, arranging cruises and educational courses for people who are willing to learn how to manage the catamaran.